For its 17th edition, the Super Mario Kart championship moved to the Netherlands, to Alphen aan den Rijn and once again week has been full of emotions, twists and turns and various cracks! For the third consecutive year, Julien "Scoub" Holmière wins the World Champion title and completes his medal collection with gold in Match Race (after an incredible final where he saves 4 match points!) , also gold in Battle and a silver one in GP ! To his left on the podium this year is Sami "the Godfather" Cetin who proved himself very strong again, winning the silver medal in Match Race and the gold medal in GP. And it is Florent " Neo " Lecoanet who joins them on the third step to complete this podium! He won a silver medal in Time Trial, another Silver in Battle Mode and got the bronze medal in Match Race and also in GP! This last medal and this third place were the only ones missing from his list of achievements! These three exceptional players still gave others the opportunity to distinguish themselves! Notably in Time Trial where Guillaume "Antistart Leviach won the gold medal and the German Christian"Chraizy" Wild received the bronze medal, Drew "duff" Blumfield came back in force in Battle Mode to claim the 3rd place as well. 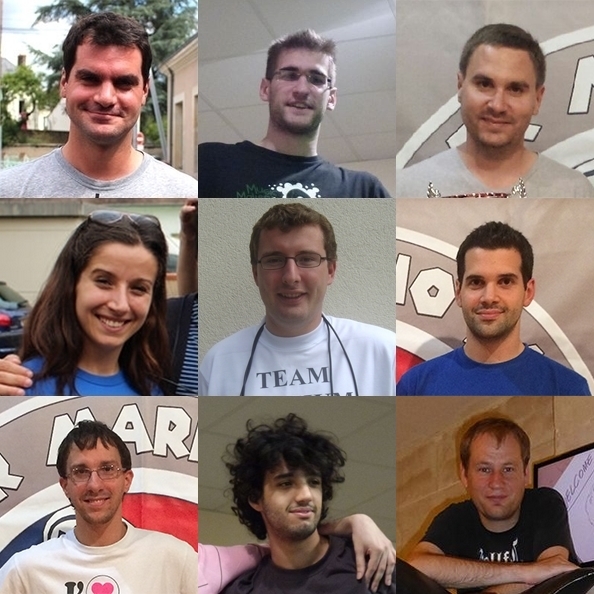 This edition in the Netherlands saw an impressive number of famous players return from the community. The record of new participants was also broken with 14 new recruits, bringing the total number of players who have already participated in a championship to 200! The FFSMK would like to thank the Esport Games Arena in Alphen aan den Rijn twice for their warm welcome and sympathy. We are also grateful to Karel Van Duivenboden and Patrick Wessels for coordinating relations with the Arena and proposing this Championship project in the Netherlands. 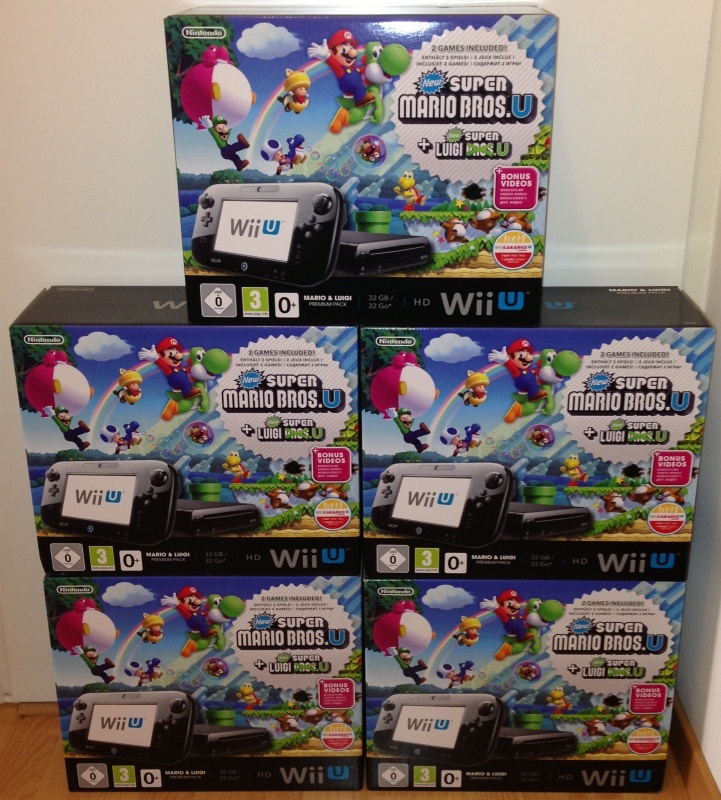 Also a huge thanks to Nintendo NL for supporting us and to our other sponsors as well. Thanks also to the French team who invested themselves, Adrien Garreau, Jean-Marie Clerc, thanks to FFVIMan for being an eternal technical genius, thanks to Jarmou for the opening and closing ceremonies, thanks a second time to Patrick for the scores and stream management. Thanks to Guillaume Leviach for keeping the Twitter account so alive! Thanks to Samuel "Narnet" Gomez and his acolytes for the French comments and thanks to Marius "Sargoth" Hukkelaas for the English stream. We broke audience records this year! And of course, thanks to all the people who make this community so irreplaceable and make every year from a certain week in August a real highlight in all of our lives! See you next year, keep on karting! PS: All detailed results will be updated on the results shortly, we'll let you know as soon as it's done. All videos recorded/streamed on TV1 during Super Mario Kart Championship 2017 are now uploaded on our YouTube channel and available on the website. If you find any mistakes in the naming of the video, the characters used or anything else, please contact me via the FFSMK forum so that I can fix it. A huge thank you to Patrick for handling the stream another year so nicely, and a big thank you to all the commentators on the stream during the whole week. TV2 videos will come later. PS: Some photos have been added to the 2017 section as well. Thank you Anton! Super Mario Kart Championship 2017 is over! To exceptional year, exceptional championship! For the 25 years of the Super Mario Kart release and the 15 years of existence of the Championship, suspense, talent and quality matches were at the rendezvous. Congratulations to Julien "ScouB" Holmiere who won his second world champion title, also winning his first gold medal in GP and also silver medals in Battle Mode and Match Race and the bronze medal in Time Trial, congratulations! On the second step of the podium is Florent "Neo" Lecoanet, who also created the event by upsetting the overall standings during his victory in Battle Mode, also premiered for him in an international edition. He also won the bronze medal in Match Race and silver in Grand Prix. On the Third place on the podium is Sami Cetin, who returns to the top 3 for the first time since 2014 with a masterful Match Race performance and another Time Trial gold medal. Two other mentions for the bronze medals of Geoffrey "Geo" L. and Matthias "Gatchan" Boucher, respectively in Battle Mode and Grand Prix. And finally, the beautiful but frustrating silver medal for Karel "KVD" Van Duijvenboden in Time Trial. The games were far from being done and the enthusiasm of the public was equal to the performances. The FFSMK wishes to thank the organizing team (Tiftif, Tanatix, Helios) for their investment throughout the week and upstream, but also to FFVIMAN for its unswerving technical skills. Thanks also to the Plug and Play team for their precious help. To Patrick Wessels and Dorian Chandelier (Nesblog) for their presence on the Stream and their scores management, and to Jarmou for hosting of the opening and closing ceremonies. We would also like to thank the Suze-sur-Sarthe Town Hall for this warm welcome, Nintendo France, and all the sponsors who supported this 16th edition of the championship. Discover now the details of the scores, with all the statistics of the site updated (rivals, face-to-face, levels, etc ...)! We are three weeks away from the opening day of the Super Mario Kart World Championship 2017 and we are looking forward to welcome you to this competition. 60 national and international players will compete in the 4 modes of the game for 5 days. And this year, for the first time in SMK championships' history, players from Australia and Greece woll be there. The event will be broadcasted on Twitch and the results published on our social networks. Feel free to subscribe for getting the latest news. We are waiting for you on 15/08/2017 at 6:30 PM for the opening ceremony ! Super Mario Kart Championships 2017 : Registrations are Open! CDM 2017 registrations are now available! This year's tournament takes place in the beloved city of La Suze-sur-Sarthe, from August 15 to 19. It costs 16€/person/day (if you're from France) and 12€ if you come from anywhere else. This includes your registration, food, and a warm nice place at La Suze's famous camping. We're waiting for you to throw and eat bananas and burn the road! Videos from SMK Championships 2016 are available! Videos from TV1 (livestream handled by Patrick) and a few other matches recorded by clbrun are now available on our website. A huge thank you to Patrick for handling once more the stream this year, to all the players involved in commentating matches (Jey, tiftif, Neo, Zarkov, etc. 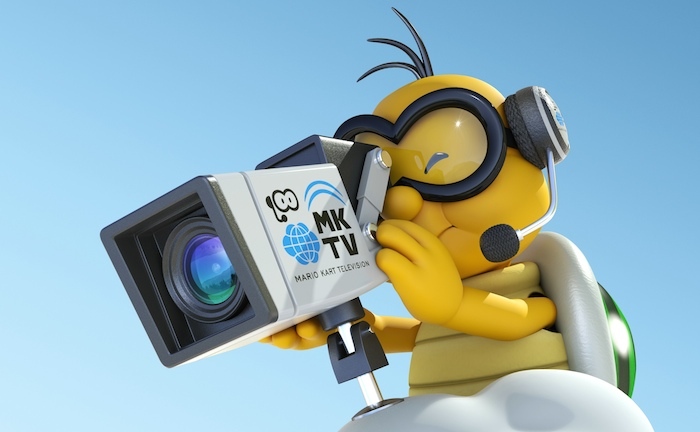 ), to clbrun for recording other matches than TV1 and to all the players for the great show you provided once again during these SMK Championships 2016. Don't forget you can commentate/rate all the matches, that'll make the site more interactive. Super Mario Kart Championship 2016 is over! 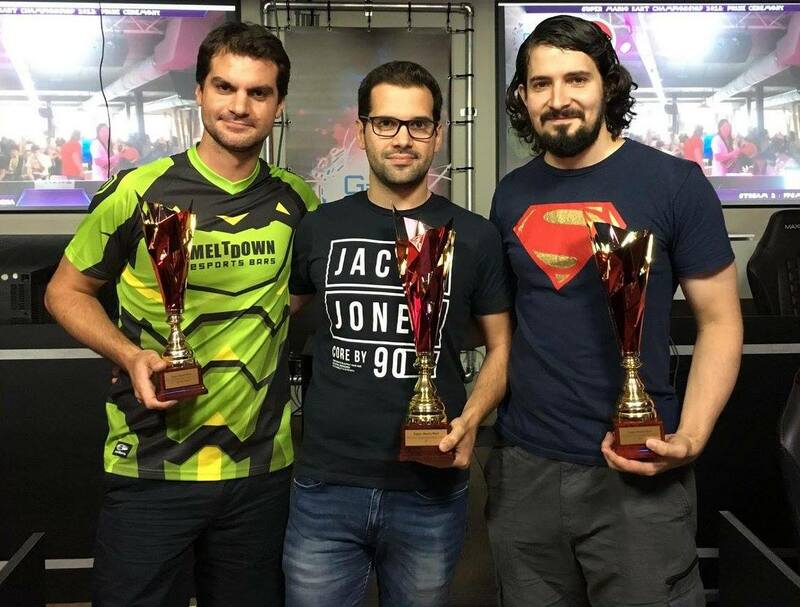 A new edition of the Super Mario Kart Championships has been achieved, and in 2016 we got the chance to see the rising of our new world champion: Julien "Scoub" Holmière! As he won the Match Race in an epic final game, he kicks out the six times crowned world champion, Florent "Neo" Lecoanet, who still fought hard to defend his title, winning the Time Trial and the Grand Prix 150cc! Geoffrey "Geo" L., who won the Battle Mode in an incredible finish (last balloon from the last round! ), reaches the 3rd overal place and completes this year's podium. The British champion Sami Cetin gets the 4th place, winning the bronze medal in Grand Prix 150cc. Applauses also go to Harold Christensen, who has proved once more that he is and will stay the parigo master with his 5th place in the overal top, and a silver medal in Match Race! FFSMK wants to say very special thanks to all the Start to play organizers and volunteers for their invaluable help during this edition and also to their sponsors! Huge thanks also go to Patrick Wessels (Legend) who hosted the streaming the whole week, Daniel Guemy (FFVIMan) who has as usual contributed with his irreplaceable tech support, and Sophie "Jarmou" Jarmouni for displaying and animating the championship on stage ( *drops the mic * ). You already can check the complete and detailed CDM results. Thanks again to everyone who made this edition so unique, competing or just watching it, see you next year! New Generation vs Old Generation ? The page "Age Statistics" will give you a bunch of statistics based on the age of the participants, such as youngest to reach a Gold Medal, Oldest to participate to a specific mode, or the average age of quarterfinalists of a specific mode. FFSMK at Stunfest 2016 ! We are pleased to announce that FFSMK will be once more at Stunfest for its 2016 edition, from May 20th to 22nd. This year, we created a special track for the event. Come and make the best time and you leave with a prize ! You will have the possibility to record while playing, so you can leave with a "souvenir". You will be able to join the official Time Trial World Ranking website by submitting the times performed during the Stunfest on our stand. You will be able to play against our reigning World Champion, Florent "Neo" Lecoanet, who will be present the whole 3 days. Superplays and exhibition matches between top players. And as usual, you will be able to play in freeplay on our stand. Registrations for SMK World Championship 2016 are Open! Here we go ! 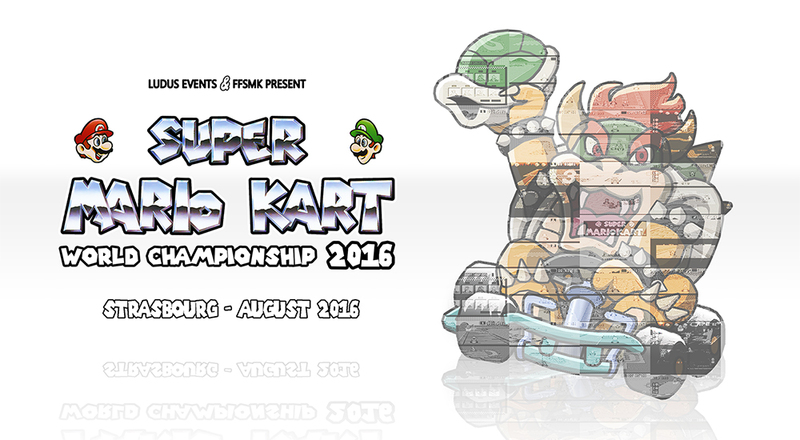 The registrations for the Super Mario Kart World Championships are finally Open ! As mentioned before, this year the championship will be held from August 24th to 28th 2016 and will be the main event of a video game festival : Start-to-Play organized by our new partner Ludus Events in the city of Strasbourg. This means a lot more public attendance than before, and an event with greater means. FFSMK really wants to thank Ludus Events and the city of Strasbourg for this opportunity given to us to be able to organize this championship in the greatest atmosphere ! As far as the championship is concerned, no major changes, the same format will be kept : Group Stage using "belgian system" (16 matches guaranteed for all participants) followed by a playoff bracket composed by the Top 16 players. The detailed rules will be published soon. The Registrations will be limited to 64 participants by mode for the D-Day, some qualifications places will be provided for the best local players (new to the community) during a mini-event organized by Ludus Events on Sunday June 19th. This year, the registration fees are cheaper but will not cover the food/drinks nor nights in hotel/campsite. There will be a catering system for the participants but most likely at their expense too. A quick "How to come" is available here and the detailed planning of the championship here. Speaking of it, the start time for each mode will be sooner than during previous years, in order to be able to finish each day at a decent hour. As far as the prizes are concerned, we will communicate more information very soon. Once again, we are hoping for a huge attendance from the SMK community, and this year in particular we can expect some great surprises from the local players from Strasbourg. The Championship will be live streamed once again, most likely on our Twitch Channel. Will Florent Lecoanet (Neo), 6 times World Champion, be able to defend his title once again? Or will any of his rivals be able to take it? In any cases, we are looking forward to the great battles that will happen in epic matches. For any question about CDM organization or other information you could request, feel free to contact us by mail or on the social networks. FFSMK's staff has evolved. A new commitee has been elected on 20th of February 2016. FFSMK @ Carolo Game Show on 5th and 6th March 2016! The FFSMK staff will be there for the "Carolo Game Show" event in Charleville-Mézières on 5th and 6th March 2016 ! Come and bring all your friends ! 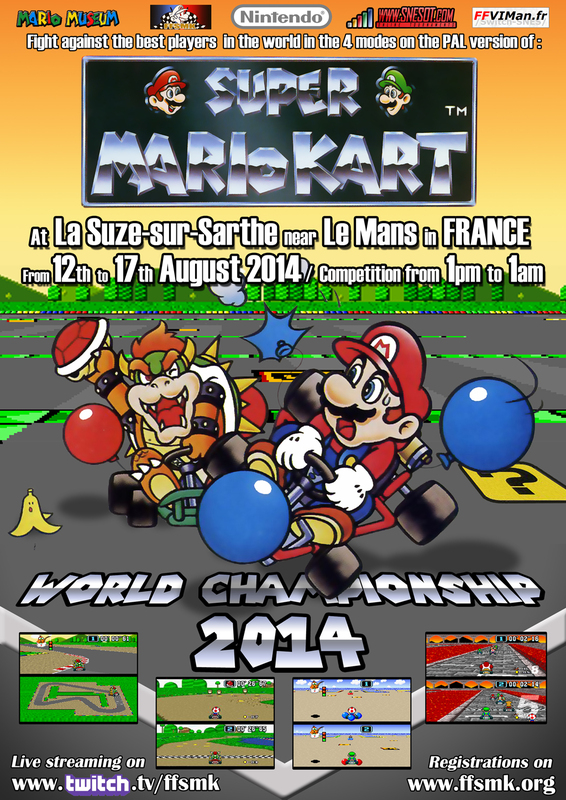 Super Mario Kart World Championship 2016 will be held in Strasbourg! FFSMK is pleased to announce that the next Super Mario Kart World Championship will be organized jointly with Ludus Events in Strasbourg in August 2016 ! For the first time, the Championship will be the main event of a great videogame festival with many entertainments to enjoy (like gaming zone, expositions, etc.). We hope to see a large public supporting the best players in the world there ! More information, such as dates and registration information, will follow soon. You can login on the website with your forum account (login and password from the Forum), the login fields are located at the top-right of the website. The website language will then use your Forum language configuration. So if you want the website to be in "french" or "english" automatically without clicking on the flags in the menu, just go on your forum settings and select your preferred default language. The website login function gives you the right to post news comments directly with your account. A brand new page "Match Details" has been created, it allows you to see all information for a specific match, and most of all, it allows you to add match/onetry comments (as guests or with your account) and add ratings to the matches/onetries (only with forum accounts), though you can only rate each match once. The "Match Details" page is reachable from most of the pages (results, H2H, videos, profile, tt champ records, etc.) with the icon . The videos (when available) are still directly reachable on those pages with the icon . For the group stage matches/onetries on the results page, just put your mouse cursor over the score and you will see a tool-tip appears with the related icons. The number of match comments and average match rating can be seen on the H2H and Videos pages near the icons and . The last match comments can be seen on the home page along with the last news comments. You can also see all comments for all matches by clicking "See All" on the home page in the "last 5 comments" section. The "Main Information" Page has been rebuilt in the results section with system and championship type added, bigger Poster size, Top4 by mode, and Top15 overall. Feel free to let me know if you encounter any bugs or difficulties with these updates. I hope you will enjoy these, use them and in a serious way. Cheers and "Keep on Karting"
Updates and new contents on the website ! Some new contents have been added to the website. I have been working on this for a few weeks already but it's all available from now. "Sprites/Animated GIFs" page has been added. You will find most of the character/items sprites from the game including a lot of animated GIFs. "Digitized Documents" page has been created. Multiple SMK boxes and Instruction booklets are available there. Feel free to send us more content to be added in this section if you have some. "Maps/Backgrounds" page has been added. All tracks maps in 1024x1024px are available. "Wallpapers" page has been added. Various SMK wallpapers including some ones based on SMK World Championship Posters are available. This section will be updated progressively with new stuff. The "Links" page has been created. Currently it is filled with some links organized in different categories but it will be updated with new ones progressively. Feel free to advise us with more links to be added. News have been classified in different categories so that you can quickly know what it is about. (It can be seen on the homepage or on a news page). In a near future, I will probably add the possibility to filter on a category so that you can find the content that you are looking for more quickly. The Score of the matches with video also has been added recently on the Videos page. I hope you will enjoy this update. Feel free to let me know if there are any bugs, spelling mistakes, or missing contents, I will try to fix them as soon as possible. I have in mind a lot of other updates I want to do on the website, so pay attention to the website in the near future as there might be another big update like this one. Have a nice week-end everyone and Keep on Karting! Nekonvention 2015: a great event ! Florent Lecoanet (MD_Neo) and Daniel Guemy (FFVIMan) alongside with the Team Plug and Play attended the Nekonvention event in Colmar (France) on Saturday the 26th and Sunday the 27th of September 2015 ! A great atmosphere overall, and lots of fun with very nice people ! Neo's 150cc speedrun was pretty cool, with various full speed feather shortcuts at CI1, CI2, BC3 and some longboosting at MC2 and MC3 ! 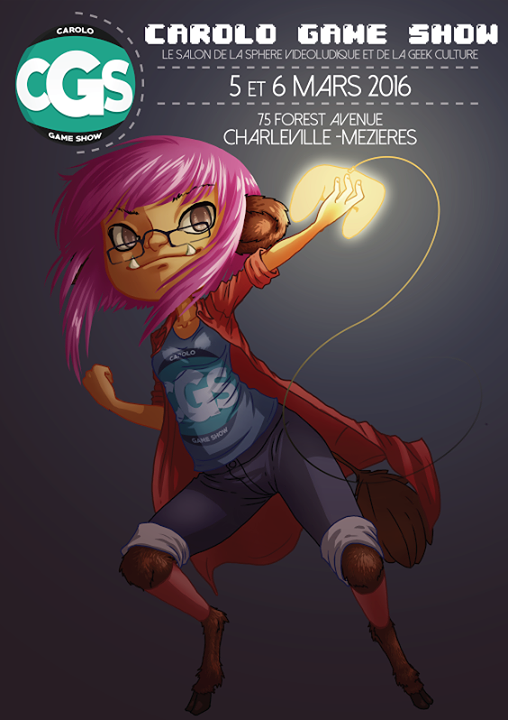 FFSMK is pleased to announce that Florent Lecoanet (MD_Neo) will attend the Nekonvention event in Colmar (France) on Saturday the 26th and Sunday the 27th of September 2015 ! What's the schedule ? 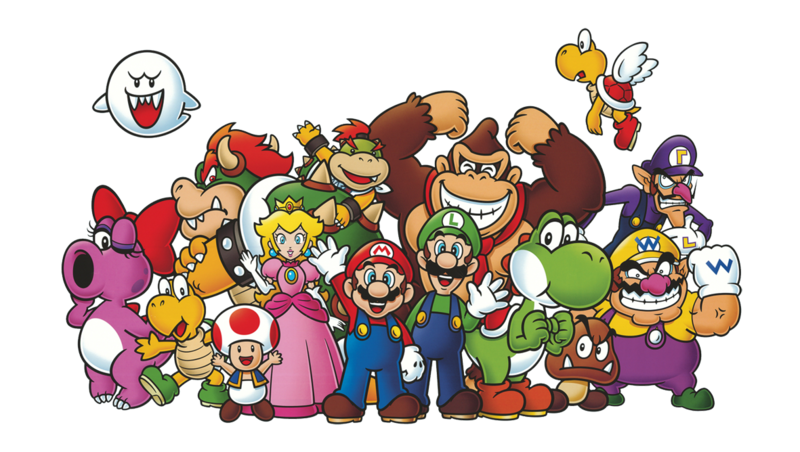 Super Mario Kart, Super Mario Kart, and more Super Mario Kart ! Friendly matches, live show, and Grand Prix 150cc speedrunning are already planned ! Several members of the (in)famous Plug & Play team will be there too for even more fun, so feel free to join aswell ! 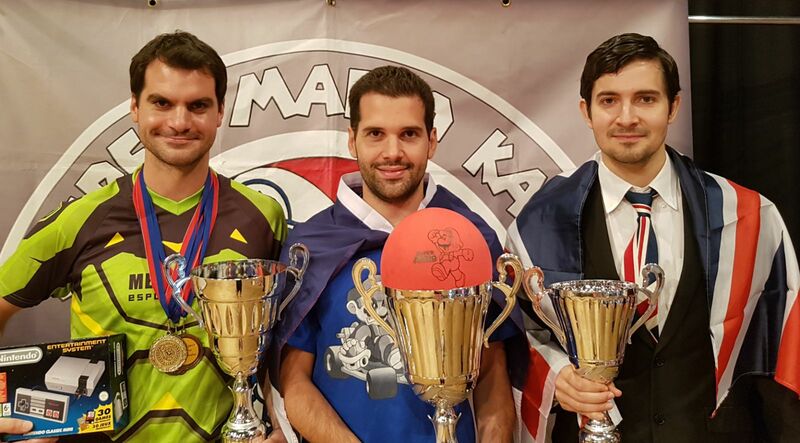 Videos from SMK World Championship 2015 are available! After a lot of hard work, the videos from Super Mario Kart World Championship 2015 are finally available on our website. You will find more than 200 videos from TV1/TV2/TV14 and a few videos from various TV recorded with a digital camera by clbrun. - Yamato for all the streaming/recording stuff on TV1, for his commentaries during matches and for the time passed on splitting and uploading videos from TV1 on Youtube. - KartSeven for her commentaries during matches on TV1 and her players interview. - FFVIMan for all the technical equipments useful for streaming and the beamers. - clbrun for recording videos from TV6 on VHS (though not yet available on our website) and from various TVs with digital camera. - Tiftif for his commentaries during some matches from TV1. Super Mario Kart Championship 2015 is over! 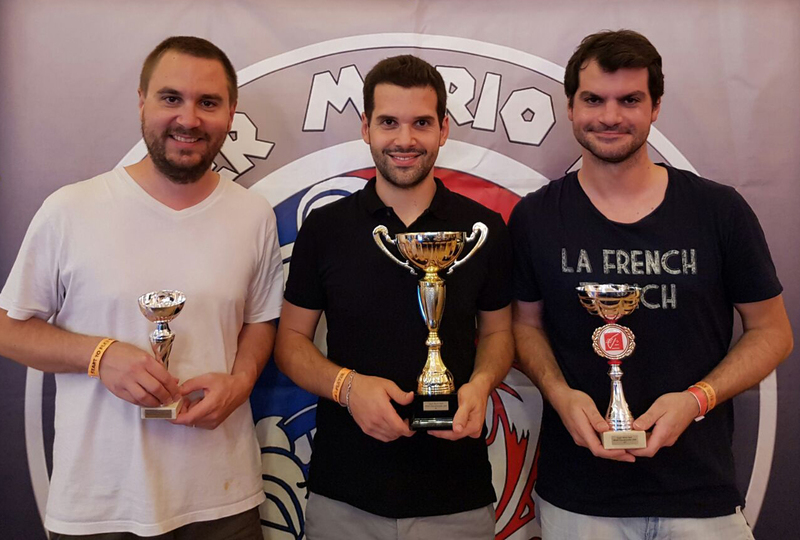 A new edition of the Super Mario Kart World Championship has now ended, and even if Florent Lecoanet (Neo) won the overall title once again, it did not look as easy as it could have been. Of course, Neo had secured both Time Trial and Match Race gold medals before (despite an unexpected threat from FFSMK president Guillaume Leviach (Mario86), who reached his first Match Race final), but the battle became much intense with Battle Mode (won again by American multiplayer champion Drew Blumfield) and especially Grand Prix 150cc where Geoffrey L. (Geo) managed to hit gold as first medal ever in this mode, stealing the win from Neo on his favourite land! Let's not forget Julien Holmière (ScouB) who ranked 3rd overall for the third consecutive year, after a tough beginning but two consecutive bronze medals in the end. Honorable mentions go to British Champion Sami Cetin who ranked only 5th this time after missing both multiplayer driving modes semifinals for the first time in his career, getting a silver medal in Time Trial anyway, and Jérémie Clément (Jey), 8th overall but double semifinalist in Match Race and GP, two massive achievement for the player who definitely improved the most this year, including a stunning win on Sami in Match Race quarterfinals. Dutch Champion Karel van Duijvenboden was the other player entering at least one single semifinal (in Time Trial), ending this CDM at 7th position in the end. 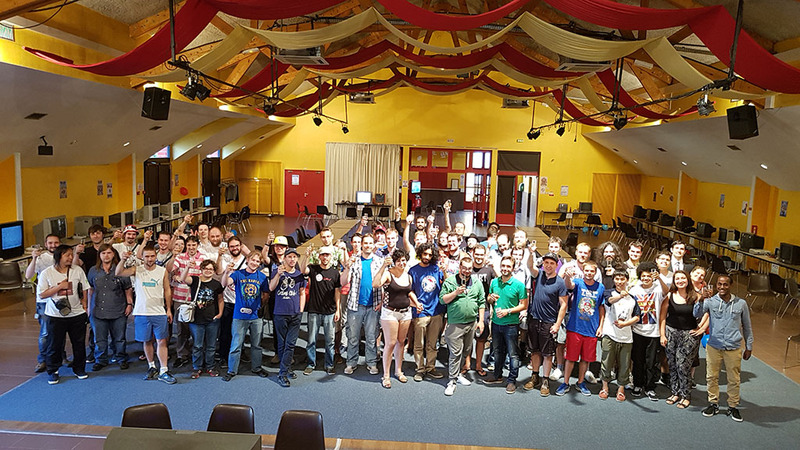 Once again, FFSMK would thank a lot the town of La Suze-sur-Sarthe who provided their awesome city hall to host more than 50 players all week long (a new attendance record has been hit in all modes! ), and the great internet connection which helped us to broadcast all the event on twitch. 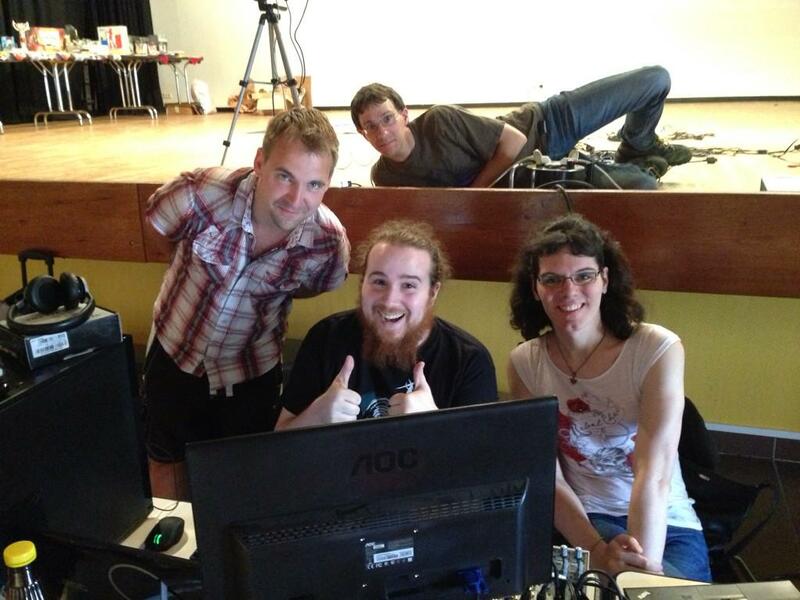 We also need to thank Valentin Lormeau (Yamato) for his hard work on livestream and Alicia L'Hoëst (KartSeven) who took care of commentating most matches with him and entering all results in the Excel file. 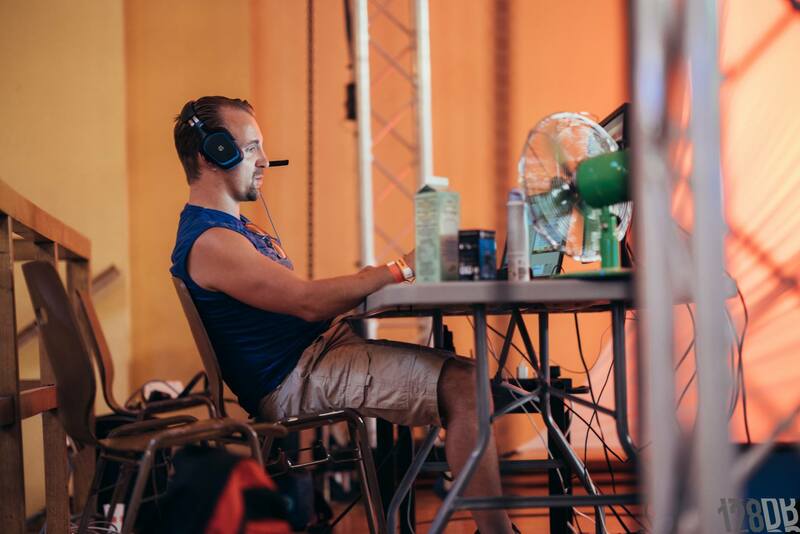 In addition to the main livestream on Gaming Live who requires special thanks too, let's not forget our Dutch streaming specialist Patrick Wessels (Meridian) who managed to broadcast many big CDM matches (including his own ones commentated live!) on Next Level Gaming, helping CDM to be shown live on two different places simultaneously! ScouB has been working a lot just after having come back from CDM to display the complete and detailed CDM results that you can already check. The summary (in French first, maybe then in English) should be published very soon. You can also discuss with our community about CDM reactions and personal summaries on the FFSMK message board! Thanks to everyone who attended, and see you next year! FFSMK is expecting you at Stunfest! 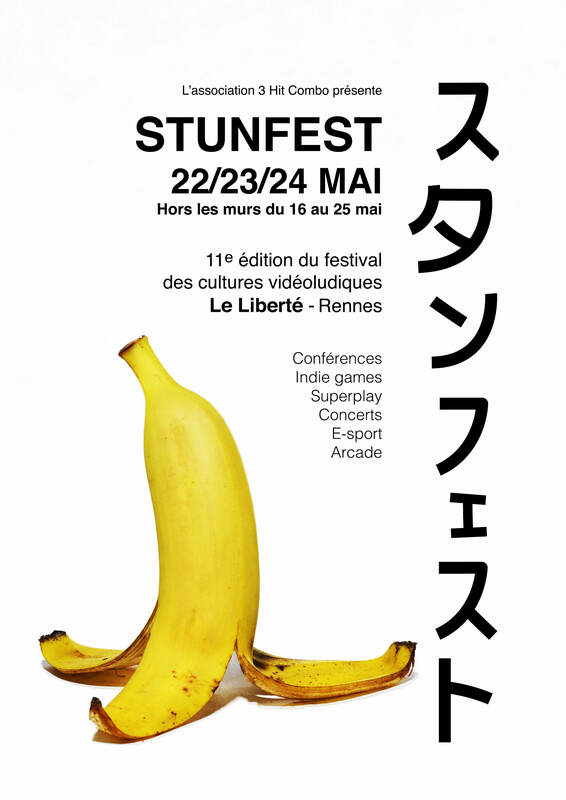 Like in 2014, FFSMK will arrend the Stunfest festival held in Rennes on next May 22, 23 and 24! You will be able to meet us there thanks to a stand held by Guillaume Leviach (Mario86) and Florent Lecoanet (Neo) as members of the FFSMK bureau, but also Djibril Aatif (tiftif) and Jean-Marie Clerc (Tanatix), both taking care of World Championships 2015 organization next summer. There also might be a permanent challenge on a "track of the day" on which Stunfest visitors will try to beat the best time set on that day. Many prizes given by FFSMK will be awarded, for that challenge but also for the contests presented above! In addition to all those events, the FFSMK staff will be available to discuss with every visitor, from casual players to potential World Championship attendees. It will be possible, then, to challenge the best SMK players on stage, to register for the championships, watch videos from legendary CDM matches (or World Record videos performed in Time Trial and Grand Prix 150cc). For any question about FFSMK presence at the Stunfest festival, or other information about the World Championships, feel free to contact us by mail or on the social networks. FFSMK gets new staff and logo! FFSMK is pleased to announce the new association staff organization! Further to the FFSMK General Assembly held in January, the association bureau has been modified and some new posts have been created. Guillaume Leviach (Mario86) remains president but multiple World Champion Florent Lecoanet (Neo) becomes the new FFSMK secretary and Adrien Garreau was elected as new treasurer. • Julien Holmière (ScouB) has been elected as vice-secretary. FFSMK would like to thank Claire Leviach, secretary since 2009, for her strong implication and activity, and Daniel Guemy (FFVIMan)who used to take responsability of the association treasury, and enters the brand new official technical staff made of three members. They will take care of the website conception and updates (especially ScouB for site maintenance and new features), technical support during FFSMK events (mainly FFVIMan there), and the making and support of the official rankings file, which Geoffrey Ewbank (djo) will take care of. The association also gets a new logo (on the left), which will be displayed on every FFSMK pages and official communications now. This beautiful logo was entirely designed by ScouB who is definitely the man to be thankful for! You can also check the other site improvements he included almost everywhere (like, for example, the FFSMK social network activity which is now displayed live on the site). You still can follow all the discussions about the World Championships and the association activity and events, and react on the community message board. For any question about CDM organization or other information, do not hesitate before contacting us by email or through the social networks. CDM 2015 dates and location are now official! 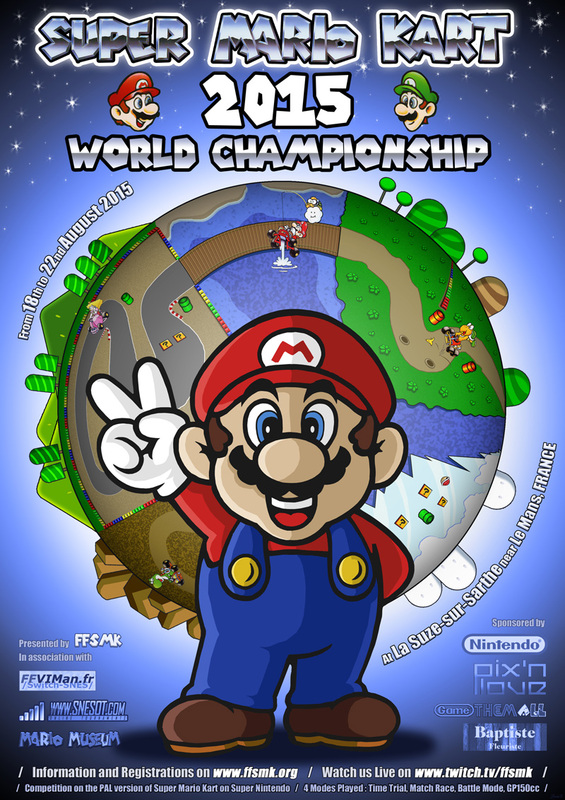 FFSMK is pleased to announce the official Super Mario Kart World Championship 2015 dates and location! After another impressive edition organized by World Champion Florent Lecoanet (Neo), the SMK Championships (CDM) will be held for the third consecutive time in the town of La Suze-sur-Sarthe (France, 20 kms from Le Mans, Sarthe), and will be set at the traditional third August week, from August 18th to 22nd, 2015. This time, we have to thank two other players as co-organizers. Long-time attendee Djibril Aatif (tiftif) offered to take care of the CDM 2015 organization and received help from 2014 enthusiastic newcomer Jean-Marie Clerc (Tanatix); both will work as a team to provide once again the best CDM possible, in the best venue we ever had for this competition. Like in 2013 and 2014, you'll be able to read all the useful information about the way to reach La Suze on the "How to come?" page through the village's satellite view. It will help you to see where the venue, camping and train station are located. Just like for the two previous editions, the subscription fees (*) will include the camping ones, you will just be asked to bring your own tent and/or share one with other competitors. If you need to book a room at the local hotel (Hôtel Saint-Louis), the daily fees will be independent from the organization and it will be asked you to take care of them. Once again, FFSMK wants to thank a lot the town of La Suze for welcoming us a third consecutive time, and the devoted players who decided to rule the organization so early. Subscriptions are not opened yet but you can be sure this is going to happen very soon. The CDM week's definitive agenda is still to be confirmed, but we can already announce CDM will start with Time Trial as usual on Tuesday 18, the championship ending on Friday 21 with the last of four gaming modes. You can check out the current temporary agenda, which is very close to what will be officialized afterwards, on the detailed page dedicated to the CDM agenda. Like every year, many prizes from our historical and potential new partners (some of them have already confirmed they will support us for 2015) will be provided, in addition to the traditional cups and medals. So stay tuned: many details will come very soon about all those prizes on the dedicated page! Just like in the two last editions, the CDM will obviously be livestreamed on twitch, to help all the ones who will not be able to make it to watch the competition live. We are expected to improve the livestream quality for this edition, and it's going to be great news considering everyone is looking forward for great battles in order to challenge Neo who almost didn't share the 2014 glory at all, only Julien Holmière (ScouB) being able to defeat him in one of the finals. As usual, we hope to reach the biggest SMK crowd ever next year by announcing those dates and location so early, about 10 months before the new edition. It will help all of you to take care of holiday booking and, for the people who might come from very far (American, Brazilian, Japanese, Australian players for example) to start their trip to Europe project in the best conditions. And of course, every player from Europe and especially France is asked to consider attending seriously, because there are no specific skills required and all the newcomers with beginner levels will tell how much they enjoyed that week which is a very unique one in the European video game landscape. (*) Those fees are not confirmed yet, but might be identical to the 2014 edition. 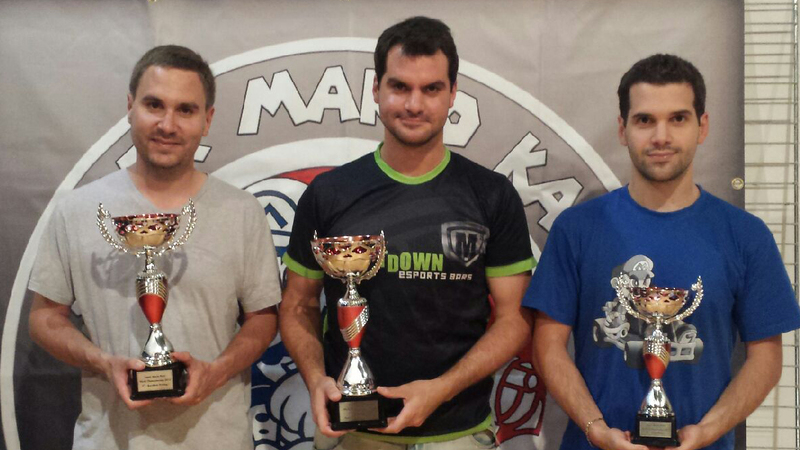 Super Mario Kart Championship 2014 is over! 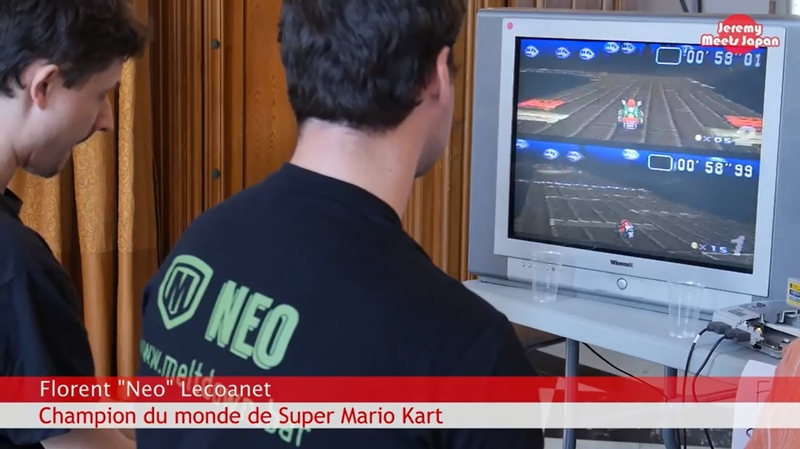 Super Mario Kart World Championships are over, and Florent Lecoanet (Neo) didn't leave any chance to his opponents to prevent him from reaching a second consecutive crown. Neo dominated this championship with three individual gold medals (in Time Trial, Match Race and Grand Prix 150cc) plus a very unexpected silver medal in Battle Mode. Eternal rival Sami Cetin and vice world champion didn't win any of the modes for the first time since 2008, reaching silver medals in the three racing modes. 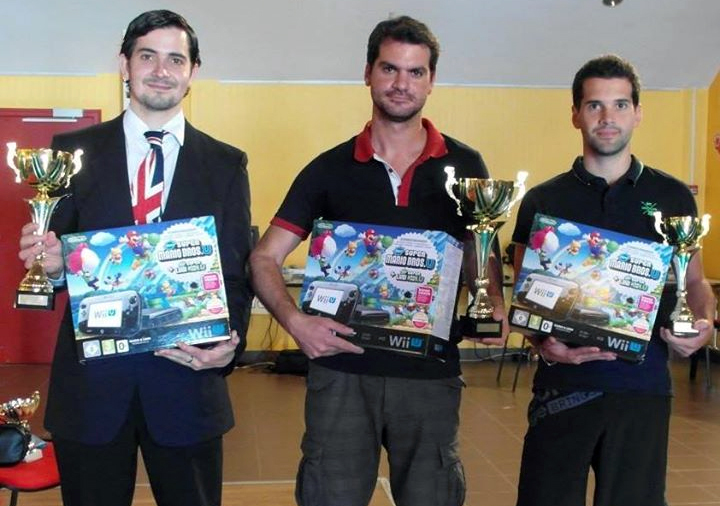 Julien Holmière (ScouB) came third like in 2013, winning an awesome Battle Mode gold medal. Other notable achievements were the bronze medals reached by FFSMK President Guillaume Leviach (Mario86) (in Time Trial), Parigo Legend Harold Christensen (in Match Race), the American Drew Blumfield (in Battle Mode) and Dutch Champion Karel van Duijvenboden (in Grand Prix). FFSMK would like to thank the town of La Suze-sur-Sarthe for providing us again a superb venue and a cool campsite, plus a permanent internet connection which helped us to broadcast CDM live on twitch. Many thanks to all those who watched the event during the week, hoping we will see some of you attending next year! Thanks to Scoub's amazing work, you can already check out the complete and detailed CDM results, and read the summary (in French for the moment, an English translation is expected to come very soon...) written by Mario86. As usual, you can also follow all the discussions about CDM and react on the community message board! CDM 2014 main prizes are all known! All the main prizes that will be available at next Super Mario Kart World Championships are now known! Our 2013 partner Game Them All is here again too, with a boxed Super Famicom Edition of SMK's legendary elder brother F-Zero. You can check detailed pictures and information about those prizes on the detailed page — we all hope those wonderful prizes will make the competition more intense than ever! By the way, please don't forget the subscriptions are still open but the current fees will only stay until July 1st, and will slightly raise after this date as announced in January. You can register by filling in the subscription form and send your payment to FFSMK until June 30, beyond this date the fees will be slightly higher (see conditions in the subscription form page), just to keep people aware how important it is for FFSMK to get the most possible payments and attendance details early. We hope to see you attending this incredible event which is always supported by our most precious sponsors like every year! FFSMK message board has been upgraded! FFSMK is pleased to announce the site's message board has been heavily upgraded, building on the new website developement on which ScouB is always working. Beyond the strong upgrade that message board required, its global layout has been harmonized with the FFSMK website. Now you can find some icons based on the game sprites (pipes, cups, but also a huge collection of smileys like shells, lightnings, coins, etc.). The other important change relies on the board's security reinforcement and the registration process. Now everyone can register, especially all the Super Mario Kart World Championship newcomers! By the way, the time has come for a small reminder: you still have 3 months to suscribe to this "CDM", so feel free fill in the subscription form as soon as you're able to confirm you will attend the event. Any comment is welcome to improve the new message board design and functions, so don't hesitate to contact us about this! CDM 2014 dates and location are known, and subscriptions are open! 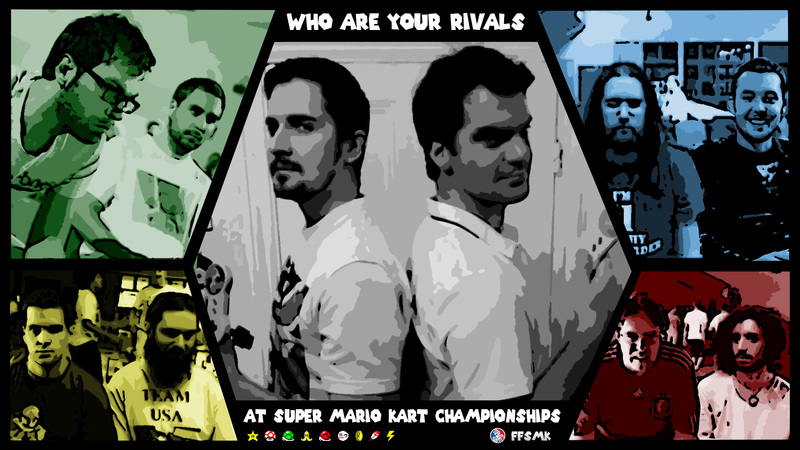 FFSMK is pleased to announce the subscriptions for the 2014 edition of the Super Mario Kart World Championship are open ! After an excellent and highly praised 2013 edition, we have to thank the current World Champion Florent Lecoanet (Neo) who took the best decision possible — i.e , hosting CDM (Championnat du Monde, French for "World Championship") again in La Suze-sur-Sarthe (France, 20 kms from Le Mans, Sarthe), where it will be held from August 12th to 17th, 2014. You can find all the useful information and details about the way to reach La Suze on the "How to come ?" page, thanks to a satellite view of the village, to help you figuring out the location of the train station, the venue, the hotel and camping. Like in 2013, the subscription fees include the camping ones, as long as you bring your own tent (or manage to share one with another player who can bring one), but FFSMK cannot take responsibility for hotel room bookings. Of course, FFSMK wants to thank the town of La Suze for trusting us once more for CDM organization, and Neo for all the administrative work he performed to make things official so early in the year! The definitive agenda is still to set up, especially when it comes to the groupstage system, but we can already announce Time Trial will open the CDM as usual on Tuesday 12, the championship ending on Friday 16 with the fourth and final mode. You can check out the current temporary agenda anyway, which is very close to what will be officialized afterwards, on the detailed page dedicated to the CDM agenda. Alongside to the website evolution, a new automated subscription form is available for the potential participants : you will not have to fill in a file then send it by email anymore — only the parental authorization (for people under 18) requires to be downloaded, signed and sent. Once FFSMK receives your payment, your subscription will be validated! You can fill the form and send your payment until June 30, beyond this date the fees will be slightly higher (see conditions in the subscription form page), just to keep people aware how important it is for FFSMK to get the most possible payments and attendance details early. Of course, as usual, many prizes from our historical partners will be provided, in addition to the usual trophies. So stay tuned: many details will come very soon about all those prizes on the dedicated page! Like in 2013, those who will not be able to move to La Suze and/or attend CDM will have the possibility to watch it live thanks to the event livestream on twitch. Who will succeed to Guillaume Leviach (Mario86) (Time Trial), to the Briton Sami Cetin (Grand Prix 150cc), to Harold Christensen (Battle Mode) and most of all, to Florent Lecoanet (Neo) (Match Race), 2013 World Champion and main host of this new edition? 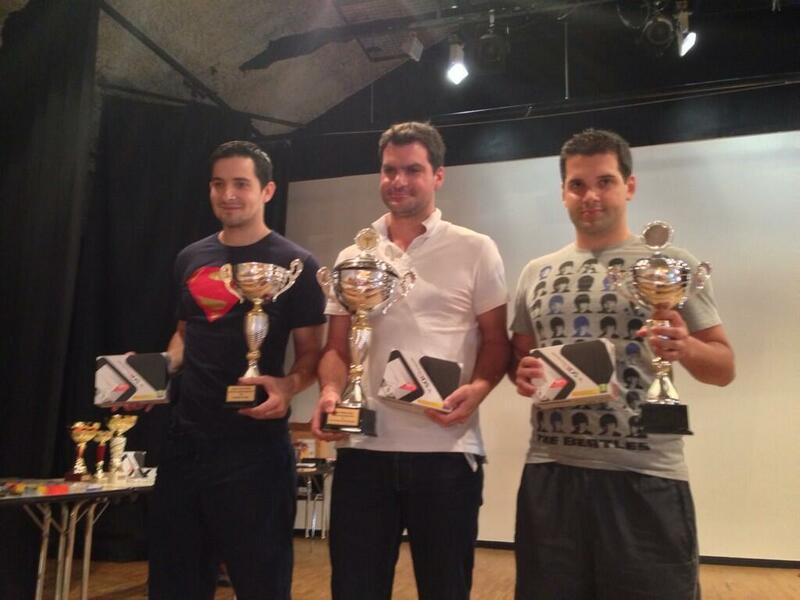 Super Mario Kart Championship 2013 is over! The 12th edition of the Super Mario Kart championships is over, and Florent Lecoanet (Neo) managed to take the crown away from Sami Cetin after an intense 4-day battle where both players hit gold, silver and bronze medals in the regular racing modes (Time Trial, Grand Prix 150cc and Match Race). This impressive and permanent fight also involved Julien Holmière (ScouB) (vice-world champion in Battle Mode and Match Race) but also Guillaume Leviach (Mario86), president of FFSMK who reached gold in Time Trial and bronze in GP 150cc, or the legend Harold Christensen, first player to win three gold medals in Battle Mode. FFSMK would like to thank Geoffrey L. (Geo), who got bronze in Battle and took care of this 2013 edition organization, and the town of La Suze-sur-Sarthe who provided us a great venue where the championship could be livestreamed for the first time on twitch. As an addition to a wonderful championship, we're also proud to introduce you to a brand new and more complete website, entirely designed by ScouB who worked hard for the community there. I let you browse all the new categories and enjoy what has been made — it's definitely worth it! While discovering the new site map and configuration, you can check out the complete and detailed CDM results, but also feel the championship atmosphere again by reading the CDM summary (in French, translation coming soon...) written by Mario86. You can also follow all the discussions about CDM and react on the community message board! In the end, FFSMK would like to thank and congratulate everyone who attended at least one of the four CDM modes, and we hope to see all of you in next summer for the 2014 edition whose date and location will be announced very soon. Welcome on the brand new Super Mario Kart World Championships Website. The design was totally rebuilt, and a specific database was created in order to display all the results from previous years and calculate several statistics. Some new functions have been added to the website such as online registration form, an admin panel allowing news editing and validating registrations, and so on. Feel free to visit all the pages.